← Earn up to 5 hours of recertification credits – commercial pesticide applicator, HPC, ISA arborist or SAF! We’ve been planting now for over a week in mostly good conditions. We did get some rain a few days ago which is going to get a lot up now. According to UGA Extension Entomologist Dr. Mark Abney, adult thrips are continuing to move (Thrips Monitoring: April 27-May4). 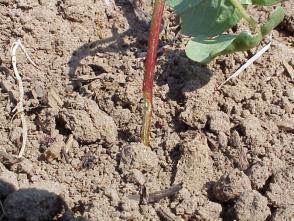 We will have most of our attention on thrips as we get cotton out of the ground and growing. Where thrips are a predictable insect pest, grasshoppers are unpredictable. We looked at a field this morning that was planted yesterday. 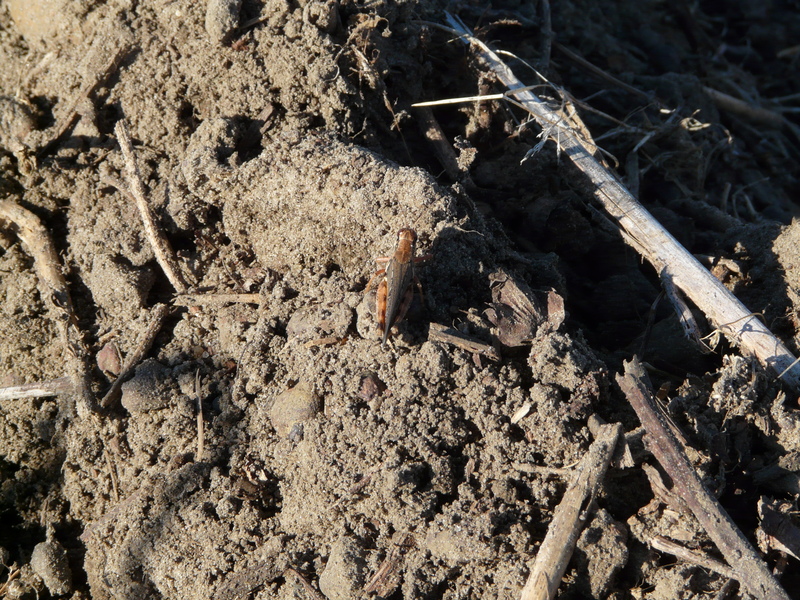 This is a strip-till field – which is where we normally see grasshoppers. They overwinter in egg cases deposited in the soil and emerge in May and June. Adult grasshoppers can randomly migrate into fields. We will normally see higher numbers on edges. UGA Extension Entomologist Dr. Phillip Roberts says when immatures are present (emerging in field), we often have problems. He has seen instances where grasshoppers were present and no damage was done, but also damage to the point of replanting. 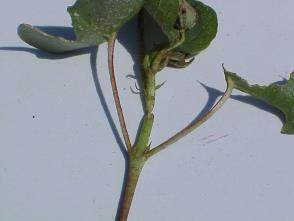 In this situation, it is recommended to go out with a high rate of a pyrethroid with our herbicides. This is risk management ONLY. Once cotton is up and we are scouting for thrips, Orthene will also work on immatures if need a foliar spray for thrips. Keep in mind, immature (grasshoppers) are easily controlled; adults are more difficult to control. 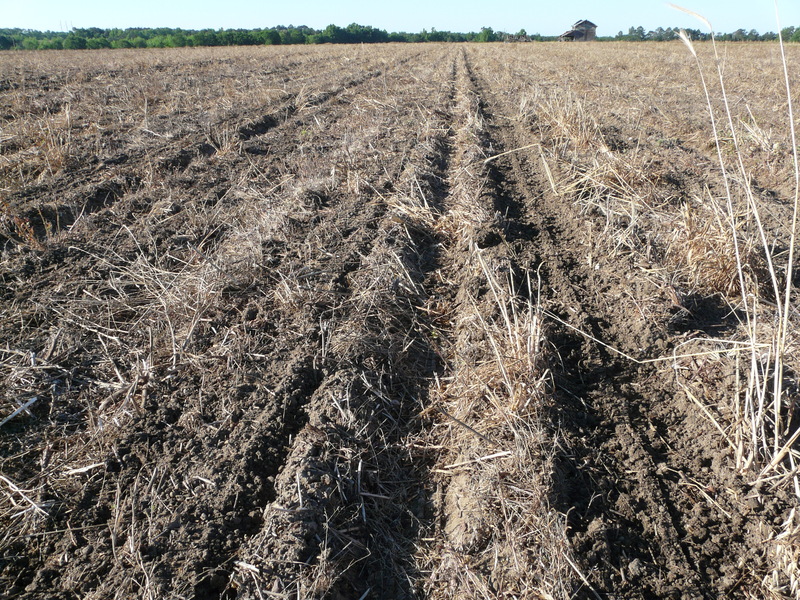 They typically occur in sandy soils and in fields where there has been a problem. Tillage destroys egg cases also.